Our team can look after all your plumbing needs from basic repairs right through to complete project fit-outs for commercial buildings. We've got five vans on the road, one of which is fully dedicated to emergency/urgent call-outs. Looking for a smart way to heat your home? The team at Brunton Plumbing can help you to find a solution that suits your needs and budget. With all the different home heating options out there like wood fires, gas fires, heaters and heat pumps it can become hard to figure out which will suit you best - the Brunton Plumbing team can assess your needs and make helpful recommendations. We're also the local agents for Metro fires and have great deals leading up to Winter. 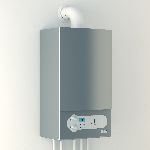 If you're thinking about installing gas appliances in your home/office we can help. We offer design consultation, installation, repair and maintenance services. We work with leading brands. Design advice, installation of appliances, appliance repairs, home heating options, continuous flow water heating and cooking appliances options. Have broken drains? Need new sewer connections, storm-water drainage, septic tank connections? Our team can help. New installs (connections for new buildings), repairs (drain unblocking and repair work), and septic tank set-ups to name a few. From septic tanks through to connections for the milking shed. Let our experienced team help you come up with cost effective solutions. 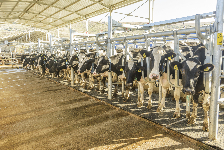 We can help you with the full plumbing fit-out of your milking sheds, effluent systems and more.